Waterproof, UV-resistant and practically unscuffable, Vinyl Labels will outlast paper by YEARS. 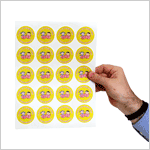 For greater durability, get a clear overlaminate to make these nearly indestructible. 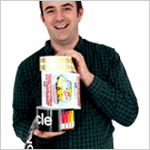 • Materials vary from Screen Printed labels to Thermal Label rolls, or Digitally Printed labels on sheets. • Browse popular categories below to find your perfect option. • We have over 10,000 different designs to choose from, for hard hats, windows, doors, and safety equipment. • What’s more? 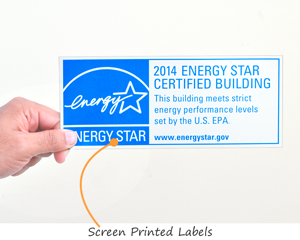 Add a logo or a warning – it’s easy and free! 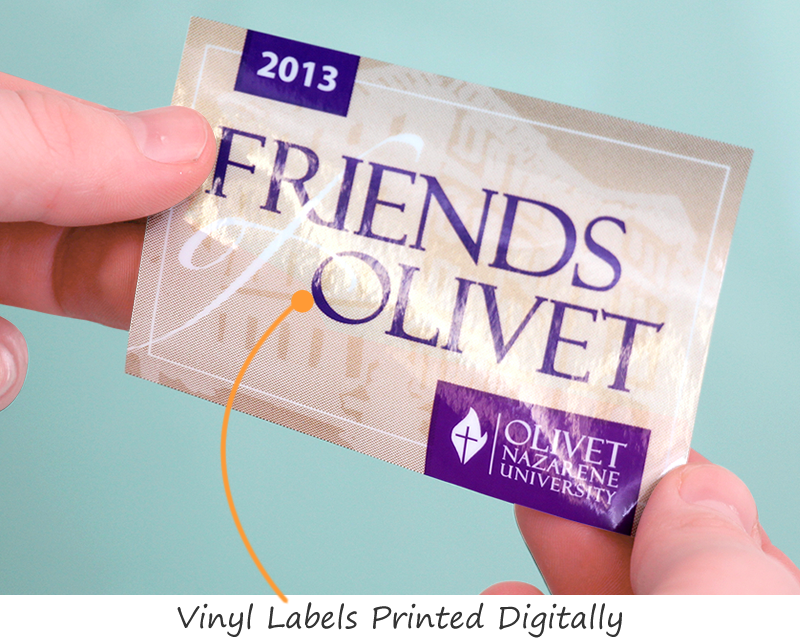 We offer a broad variety of custom vinyl labels. Drill down by any of the popular vinyl label categories below. 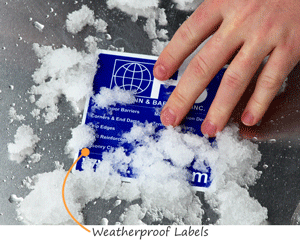 The broadest range of custom vinyl label materials can be found under “Weatherproof Labels”. • Sticks permanently, but can also be removed later. • Screen printed for durability. • “No look” labels mean that the background of the label disappears. • Great for hard hats, windows. • Elegant for windows and doors. With premask. • Classic vinyl labels in rolls. • No adhesive – so easy to remove. • Use for glass surfaces. • Order as few as 10 custom labels. 2 years outside. 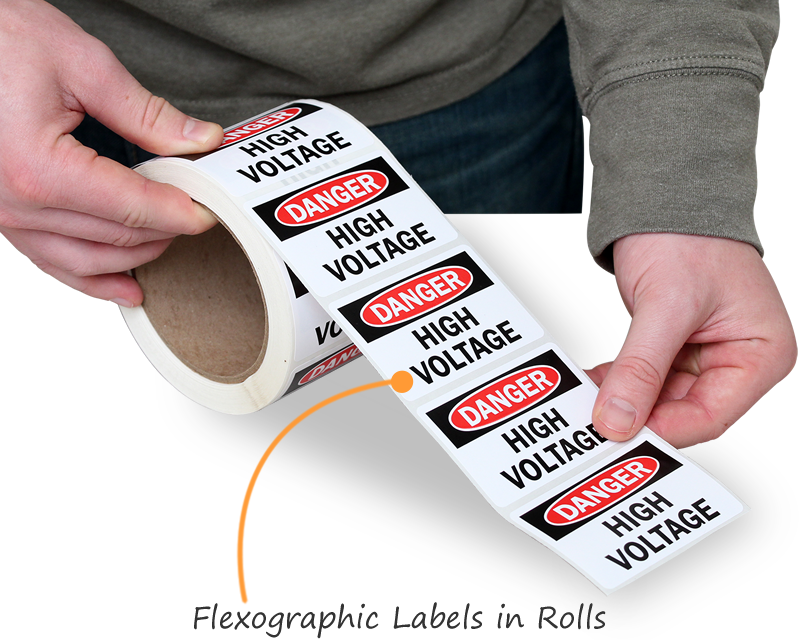 • Our most durable labels. Optional laminates. • 5-10 year outdoor life. • Low 10 piece minimums. Full color. • White vinyl with aggressive, heavy weight adhesive. • Stick to tires, rugs, etc. 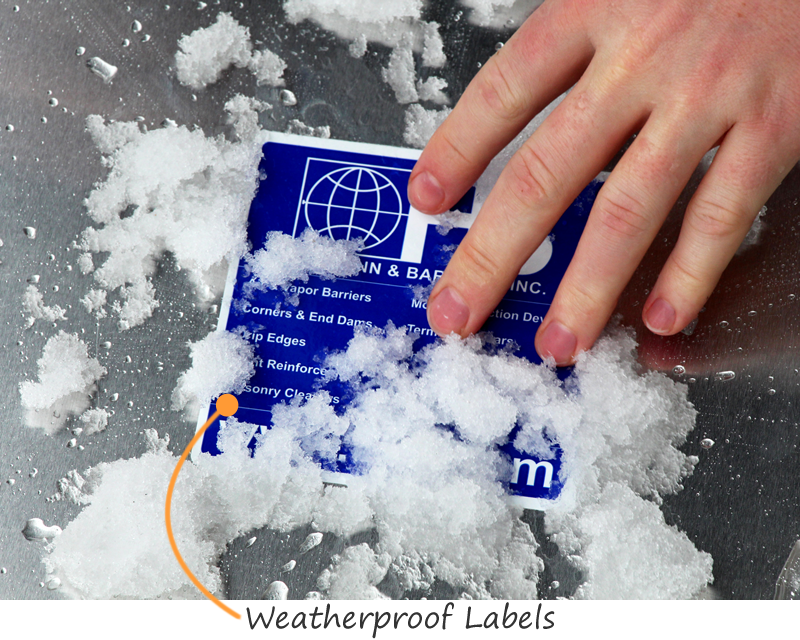 • Broad selection of labels that last up 5+ years outside. • Outlast snow and intense UV. We have over 2,000 vinyl decal designs – all in stock. Use our search box to narrow your choices. Or click on these popular vinyl label sections below.